Phonetic algorithms are often used to index words by their pronunciation so they can be compared despite minor differences in spelling. Many genealogy records are indexed this way. The phonetics calculator can generate a phonetic code for a word using either the Soundex, Metaphone, Double Metaphone or Metaphone 3 algorithms. Please note that the nature of these algorithms means that they only work for Romanised text. Fig 1. 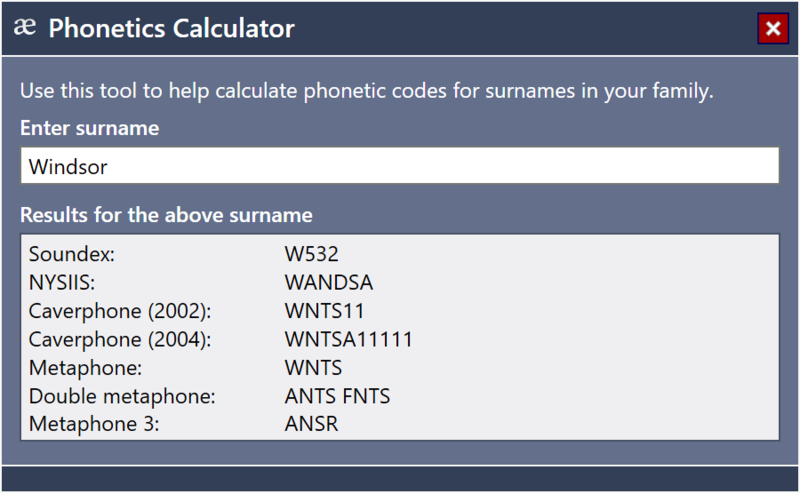 The Phonetics Calculator tool.